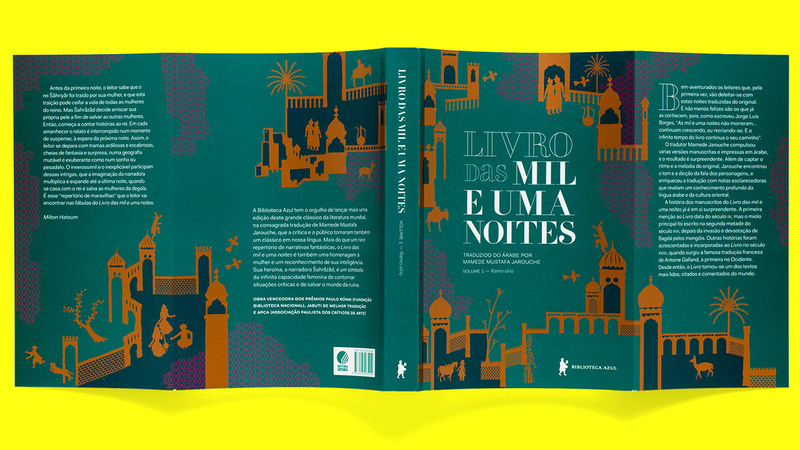 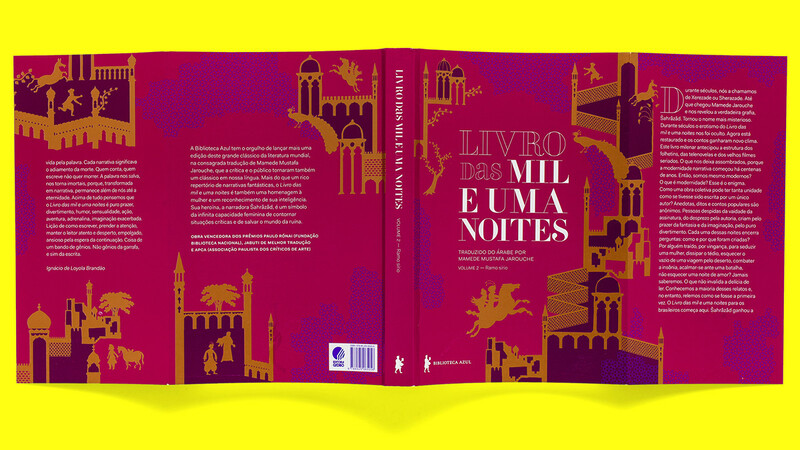 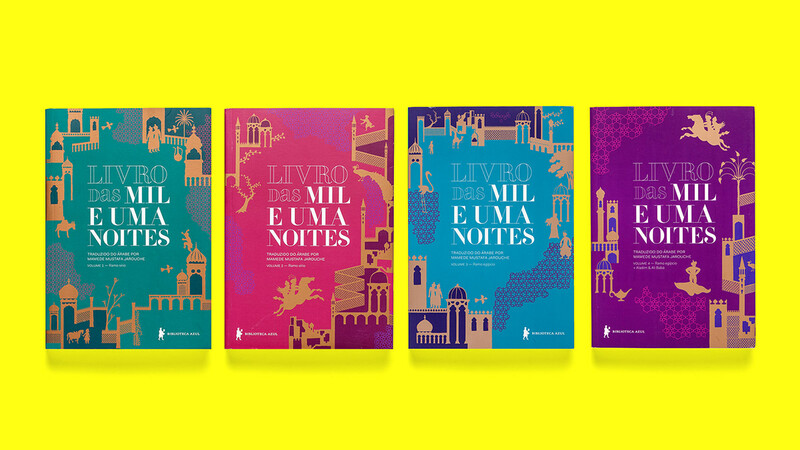 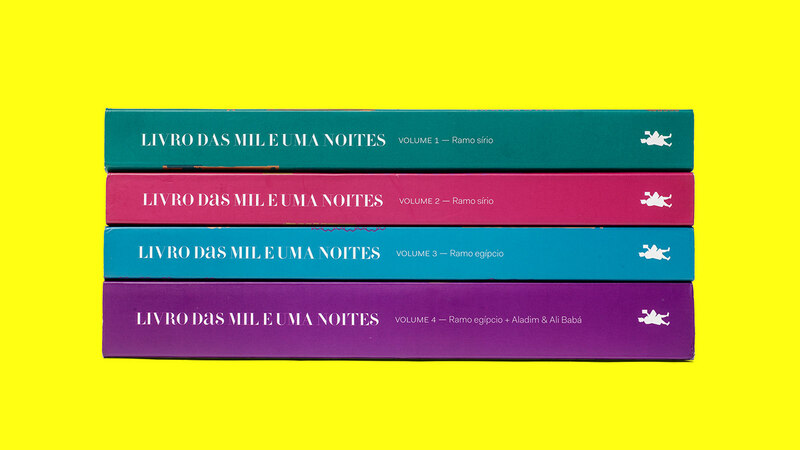 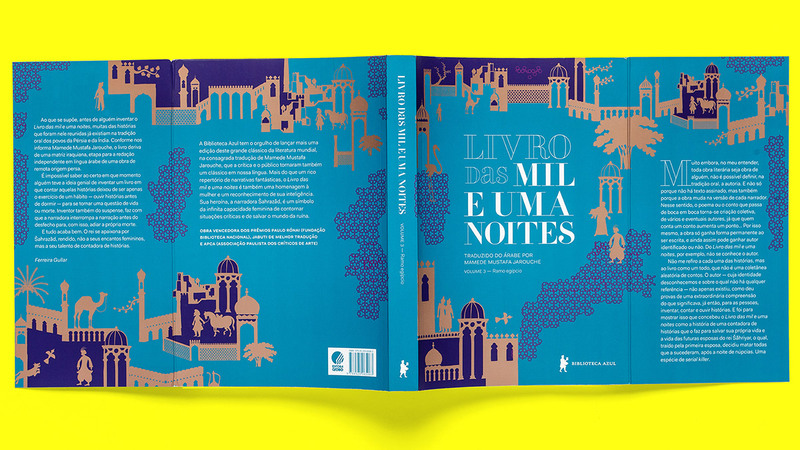 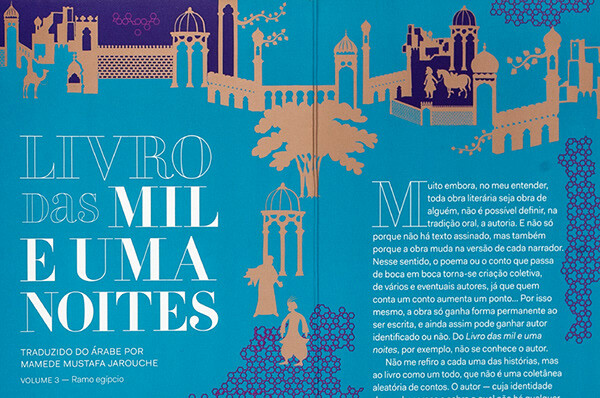 Brazilian edition for the Arabian Nights  published by Biblioteca Azul/Globo Livros. 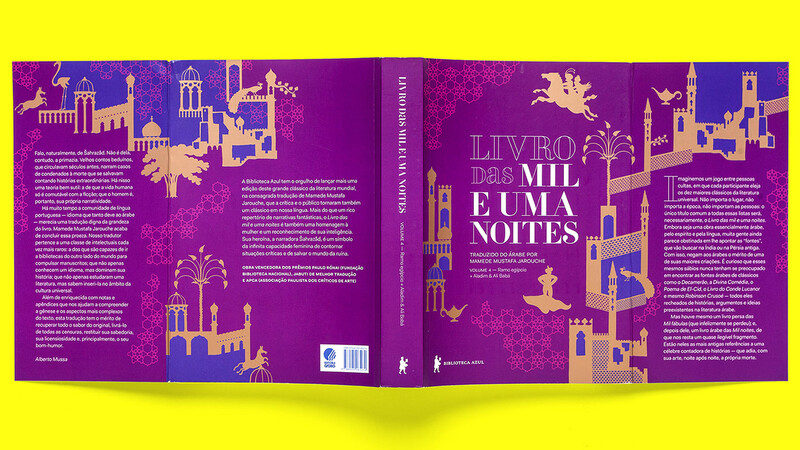 Illustrations by Bruno Algarve. 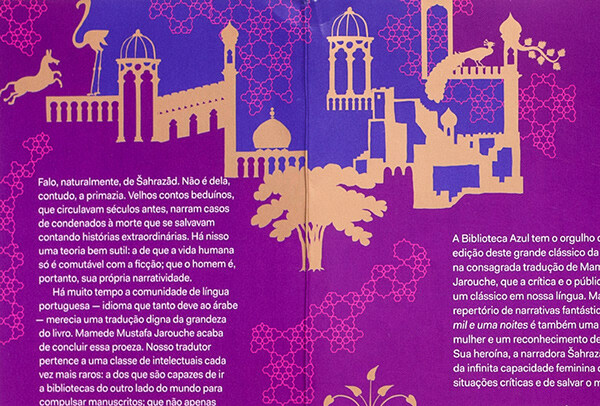 All cover illustrations connect to each other.